This stunning Coast Diamond engagement ring features a double halo circling a 1.25 carat round diamond. Leading up to the center diamond is a sparkly split band: two sinuous bands of diamonds on each side. 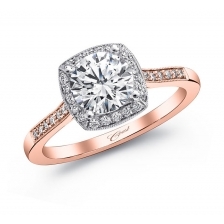 Available in platinum, white gold, yellow gold or rose gold, this unique halo engagement ring is available at a Coast Diamond authorized dealer near you. Find additional Coast Diamond Authorized Dealers across the United States on our website and make an appointment to try on Coast Diamond engagement rings this week. Make it a date and invite your significant other to join you on the shopping trip, then surprise him with a romantic dinner at his favorite restaurant. Welcome to Coast Diamond’s first blog post! We’re thrilled you’re reading this and invite you to share your favorite Coast posts with friends. 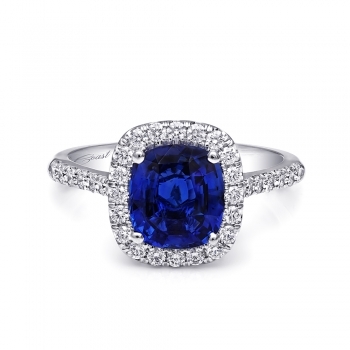 Be sure to follow us to stay up-to-date on the latest engagement ring, jewelry and bridal news, too. 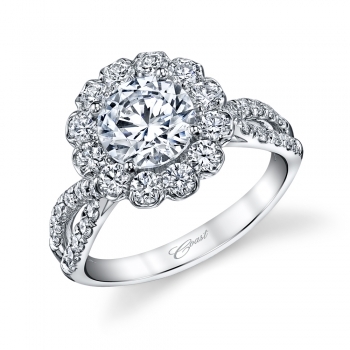 What’s your favorite engagement ring trend? Share with us on Facebook or Pinterest and we’ll include your picks and pictures in an upcoming blog post!